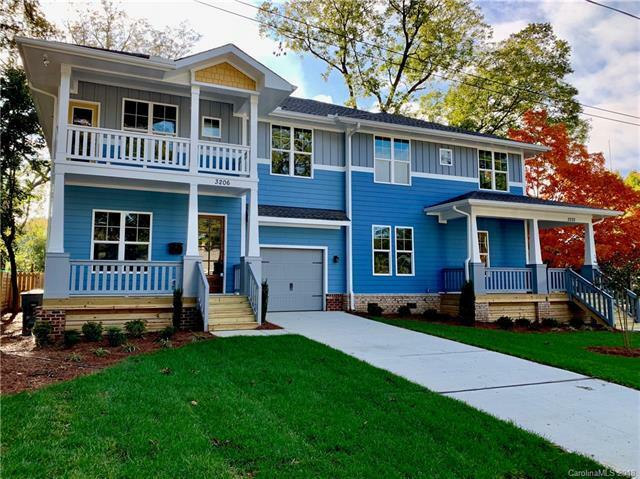 This stunning new construction 4 bedroom 3 bath townhome located in the heart of the serene NoDa neighborhood within walking distance to The Evening Muse, The Flying Pig, Boudreauxs, Haberdish, and NoDa Company Store to name a few. This home offers a two-story front porch with skyline views! Covered back porch leads to a large fenced in yard. Each room features 3/4 solid white oak hardwood floors. Kitchen boasts quartz countertops, stainless steel appliances, farm house sink & large island with walnut countertop. Looking for closet space? Dont miss the oversized walk-in closet in the master bedroom. Master bath features dual vanities, free standing soaking tub & walk in shower with glass surround. Enjoy a move in ready home without losing the NoDa soul.